Tonight 7:30pm and Sunday 3:00pm! Start your holiday season off on a high note (or 2000!). 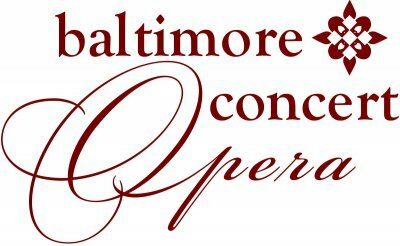 Join the Baltimore Concert Opera for Rossini’s La Cenerentola, not your classic take on the Cinderella story…and of course, with the BCO’s twist on top of that! Rossini’s vocal fireworks are sure to warm you on a cold winter’s evening, and you can get a head-start on your holiday shopping at our fabulous silent auction! BCO favorites Tim Augustin, David Krohn, Stephen Eisenhard and Jeffrey Tarr return, joined by a stand-out from last year’s So You Think You Can Sing Opera? auditions, Megan Marino, in the title role. Georgetown University is honored to join PostClassical Ensemble in the fourth year of an educational partnership. By combining our resources and interdisciplinary interests, we are committed to bringing the joy of music to a new generation. This season, we are also celebrating the second year of collaboration with the Film Program of the National Gallery of Art and our inaugural production with Igal Perry and Peridance Contemporary Dance Company of New York. Music is more than entertainment, more than a relic of the past. And the study of music has long outgrown the confines of the conservatory. This week’s performing arts celebration serves as a step along Georgetown University’s path to the future. The Music Program in the Department of Performing Arts has recently gained national attention for its undergraduate major in American Musical Culture. The goal of this program is to bridge the fields of “music performance” and “music as a liberal art” through an integrated study of history, cultural studies, theory and performance. Under the leadership of Joseph Horowitz and Angel Gil-Ordóñez, PostClassical Ensemble is bringing an innovative approach to contemporary music culture that inspires our students. They are living proof that understanding music is both an artistic and an intellectual achievement. Through collaborative concerts, conferences, and classroom instruction, Georgetown University and PostClassical Ensemble are committed to bringing students, scholars, performers and audiences together in new and exciting ways. As partners, we hope to show with events like Falla/Stravinsky and the upcoming Schubert Uncorked that music is both a manifestation of intellectual curiosity and a creative endeavor that strengthens contemporary society.